Hooray! Today is November 1st, which means the wait for ARTPOP is almost over! In 10 days Little Monsters all over the globe will be applauding for Gaga's newest album! However until then, you can keep checking back here, as we count down the official release date! Lets start our countdown to ARTPOP right here! With 10 days to go, lets have a playlist of Gaga's top 10 songs! Courtesy of Spotify, I have compiled a list of the 10 most popular Gaga songs, as chosen by you! 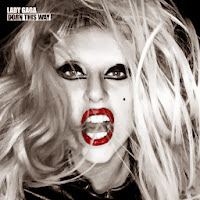 (You being the Gaga fans, not you individually! Sorry!) I personally would have thrown speechless and Teeth in there, but apparently we aren't all in the same boat! Check out the playlist, add it to your favourites/subscribe... whatever you do with spotify and let me know what you think!